Make this two-ingredient hot chocolate in a slow cooker and serve with a variety of festive toppings. Spoon ice cream into a 3-quart slow cooker. Add milk. Cover and cook on LOW for 2 hours or until thoroughly heated, stirring occasionally. 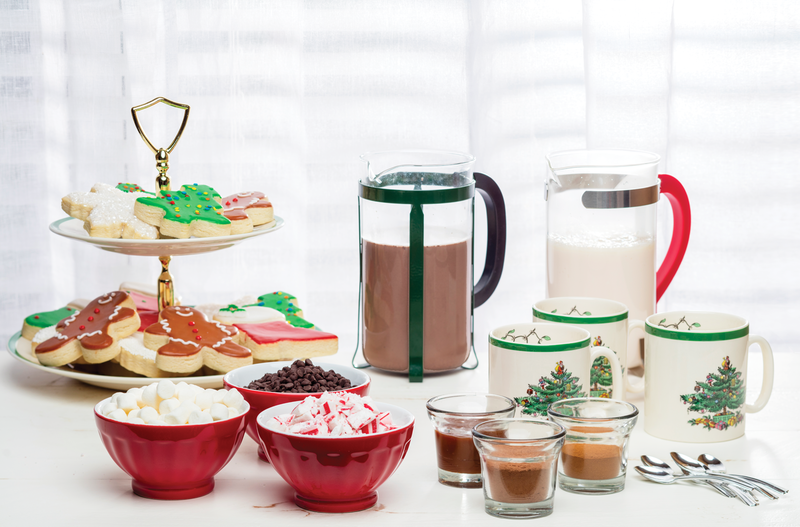 Ladle hot chocolate into mugs, and top with marshmallows, cocoa powder, shaved chocolate, and peppermint as desired. Yields 18 servings. In addition to the hot chocolate, add an “adults-only” coffee to the menu. Prepare coffee in desired coffee maker. Add liqueur, and stir. Pour whipping cream, sugar, and vanilla into a large chilled bowl. Beat with a hand-held electric mixer using the whisk attachment until cream thickens and soft peaks form. Pour coffee into mugs, and top with whipped cream. Sprinkle with shaved chocolate, if desired. Yields 6 servings. For a different take on traditional hot chocolate, use white chocolate chips and add festive holiday flavor with peppermint candy. Place milk in a heavy saucepan, and cook over medium heat until warm (do not boil). Add crushed peppermint, stirring until candies dissolve. Add white chocolate chips, stirring with a whisk until chocolate melts. Cook until bubbles form around the edge of pan (do not boil), stirring constantly with a whisk. Remove from heat, and stir in extract. 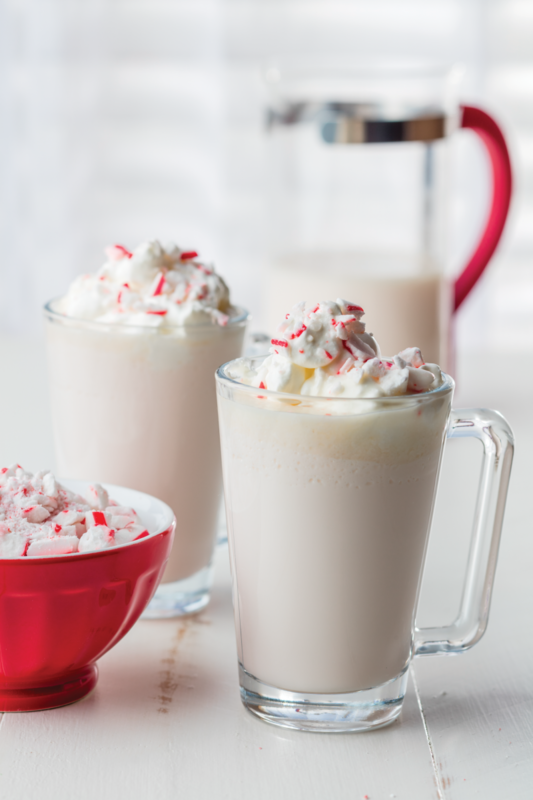 Ladle into mugs, and top with whipped cream and crushed peppermint, if desired. Yields 12 servings. Note: Cookies were purchased from Icing on the Cookie in Homewood, 2907 Central Avenue, 205.871.9852, icingonthecookie.net.